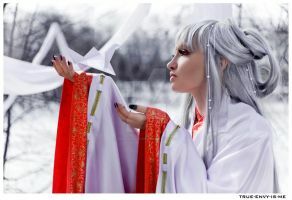 Credits goes to for her wonderful cosplay costume! Hi, can I ask please if it's possible to purchase a copy of this photo to use as part of an ebook cover design? I understand if this isn't possible. Thank you! I love the photos I would love to do sexicature drawing of your work if you put it up on your page for me!! UR TH4 WORST COSPL4YER 1VE EVUR SEAN! Your gramatic skills are the worst thing my Grammar Nazi has ever seen... Put your glasses on, please. wow wonderful touch with the eyes. puedes editarme una foto ? Check out the music video my friend made about the dress up phenomenon. May I use this for Instagram? She looks so ...AMAZING !!! I LOVE IT ! !